St. Lawrence Barristers LLP offers clients strategic advice and representation. 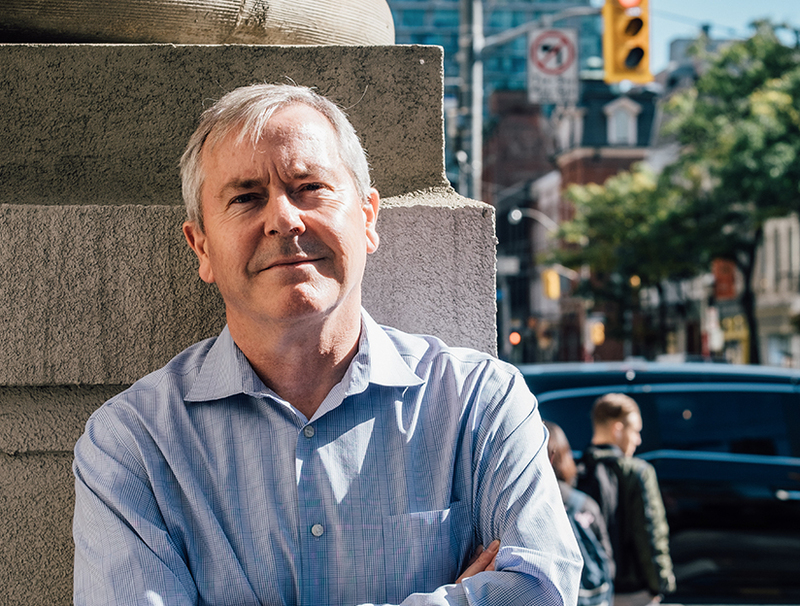 Phil Tunley is a founding partner at St. Lawrence Barristers LLP, with more than 30 years experience as counsel in complex litigation matters. He represents clients at all levels of courts in Ontario, and in the Federal Courts and Supreme Court of Canada. He appears frequently in the Divisional Court and before a variety of administrative appeals tribunals. He is also an experienced trial counsel in both civil disputes and provincial offence matters, and in a wide range of regulatory and administrative hearings. Phil’s civil litigation practice includes corporate and commercial disputes, media and defamation law, energy law, high technology matters, professional and business regulation, and human rights matters, both at trial and on appeals. His experience centres on complex matters, often involving high volumes of documentary productions, or conflicts of laws issues engaging two or more legal systems. He practices litigation as a specialty, and is always keen to work as co-counsel with specialist lawyers in a particular subject area or from other jurisdictions. He has special expertise in expert evidence, electronic evidence and automated litigation support in complex trials. Phil’s corporate and commercial clients regularly include both referrals from other leading Canadian law firms, including the two national law firms with which he has been associated, as well as direct retainers. He has acted in shareholder disputes, and other matters involving expert business valuation evidence, up to the Ontario Court of Appeal, as well as in disputes involving contract and fiduciary claims, energy, securities, insolvency, banking, mining, corporate tax, and other matters. Phil also frequently acts for clients in relation to both civil and Charter or human rights claims for damages and other remedies, or defending such claims, when an infringement of protected rights and freedoms is alleged. This kind of litigation requires both a strong grounding in the decided Canadian and international case law, coupled with a willingness to find and advance new policy arguments that push the frontiers of the decided cases. His media and defamation practice is only one aspect of this specialty, which extends to claims involving matters from national security and the investigation of allegation of terrorist affiliations, to civil claims for sexual assault. He also has long experience and involvement with the rights of Aboriginal peoples in Canada, and in land claims and other disputes, negotiations, and regulatory proceedings that directly impact those rights, including representation of Aboriginal groups, regulators, industry and governments in such matters. Recently, Phil’s administrative and regulatory practice has focussed on energy regulation and on regulatory compliance proceedings. He acts both for regulators, and for regulated entities in both areas. He has appeared as counsel in the Supreme Court of Canada and other appellate courts in leading cases that remain the foundations of our law in these areas. He also has experience with various regulated professions, including lawyers, teachers, and heath care providers. He is regularly involved in judicial review and administrative appeals before the Ontario and Federal appellate courts, and has current knowledge of techniques of statutory interpretation and the standards of judicial review of administrative decisions, which arise frequently in that context. His experience in these matters is grounded in four years of practice with the Ontario Ministry of the Attorney General, Constitutional Law section, including cases involving Aboriginal and treaty rights, Charter rights in the context of provincial prosecutions, and the division of powers between our federal and provincial governments. Phil’s commitment to litigation as a specialty is underlined by his frequent involvement in teaching advocacy as a skill set, including volunteering as adjunct faculty for the University of Toronto Law School’s third year advocacy course, teaching at the annual Osgoode Intensive Trial Advocacy workshop, and at various Advocates Society programs. Phil has written, spoken and published regularly on issues related to his practice. He is a committed mentor of young lawyers who share his practice interests. He also extends those practice interests as an active member of the Canadian Media Lawyers Association, and as a Director and Vice President of Canadian Journalists for Free Expression. He is a member of the Canadian and Ontario Bar Associations, and of the Advocates’ Society. Alexi Wood is a founding partner at St. Lawrence Barristers LLP. She represents clients at all levels of courts in Ontario, frequently appearing in the Divisional Court and the Court of Appeal, and she has appeared as counsel at the Supreme Court of Canada on numerous occasions. Her practice includes a wide range of civil litigation, administrative and regulatory disputes, including commercial disputes, health law, aviation, professional regulation, and human rights matters, both at trial and on appeals. Alexi’s commercial clients rely on her practical advice in a wide range of contract, securities, fiduciary and other disputes. She also acts for clients on tort matters, including issues related to health law, defamation and privacy. She maintains her understanding of current cases each year in preparing the Advanced Torts class she created and teaches at the University of Toronto Faculty of Law. Alexi also represents clients in administrative and regulatory matters. She frequently assists members of various regulated health professions colleges, as well as other professions including lawyers and teachers. In addition, she provides advice in academic matters, including funding disputes. Clients frequently seek Alexi’s assistance in judicial review of administrative decisions. Alexi’s regulatory work includes assisting clients in various government regulatory specialties including health and aviation matters. She provides strategic advice, utilizing the most effective means to navigate the regulatory and licensing processes specific to their needs. She has expertise in drafting clear, concise submissions to licensing and regulatory bodies, as well as appearing before such bodies to advance her clients’ interests. 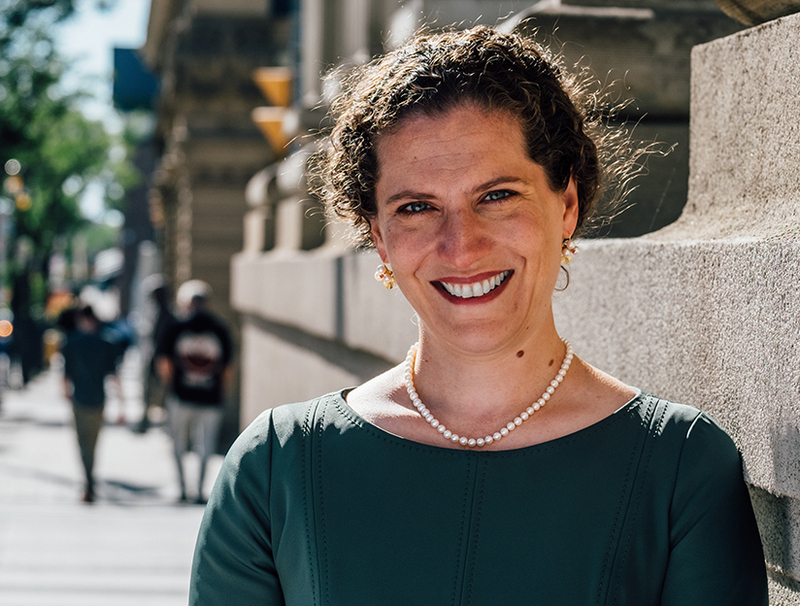 Alexi’s passion for social justice and commitment to pro bono work began prior to entering private practice when she was the National Security Project Director for the Canadian Civil Liberties Association. Alexi has continued to act for CCLA on a pro bono basis before various courts of appeal and the Supreme Court of Canada. In September 2016, Alexi was invited to be a faculty member in the Vital Voices Justice Institute in Mumbai, India, a training program for judges, police officers, prosecutors and NGO staff members who work in preventing human trafficking and domestic violence. In 2014, she received the Precedent Setter Award for her work fighting for social justice. Alexi is a member of the Canadian and Ontario Bar Associations, Ad Idem / CMLA, and the Advocates’ Society. She teaches Advanced Torts as an Adjunct Professor at the University of Toronto Faculty of Law, and in her spare time is a member of the Board of Starfish Greathearts Foundation, a charity that provides support to children orphaned and made vulnerable by AIDS in South Africa. 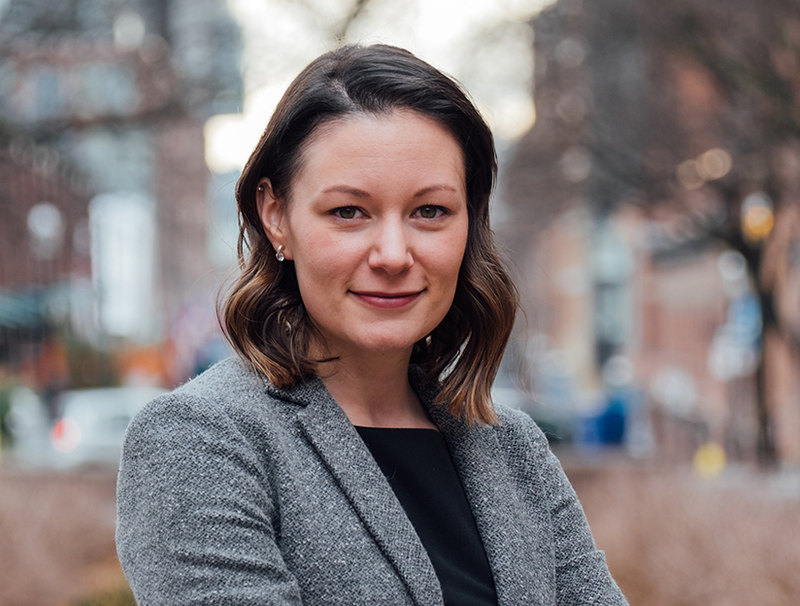 Jennifer is an Associate at St. Lawrence Barristers LLP and frequently represents clients in court, administrative tribunal proceedings, and private arbitrations. Called to the bar in 2015, Jennifer maintains a broad civil litigation practice. She advises clients on complex commercial disputes, public and administrative law, media law, harassment and privacy, and professional liability and regulation. She has appeared before various Ontario Courts, Tribunals, and the Supreme Court of Canada. Prior to joining St. Lawrence Barristers LLP, Jennifer worked in the Toronto office of a global law firm. Jennifer is a member of the Canadian and Ontario Bar Associations, Ad Idem / CMLA and of the Advocates’ Society.